Because they are located below ground, basements tend to be susceptible to moisture issues, such as foundation weeping and basement floods, especially in areas that have long rainy seasons. Basement flooding is an incredibly frustrating problem, and can cost you a lot of money to have the water removed and water damage repaired. And the unwanted water in your basement can encourage mold to grow out of control. If you find yourself in the unfortunate situation of having to deal with a flooded basement, contact a restoration company that offers services such as water removal, water damage repair, mold remediation, and basement waterproofing in the Hamptons . Here are some common causes of basement flooding. Unfinished basements generally house networks of exposed plumbing pipes, which can be sources of unwanted water if they’re leaking or if they burst. Old metal pipes that are corroded can leak, while pipes that are clogged, or that have not been protected from freezing, can burst from built-up pressure. One of the most common causes of basement flooding is heavy rain. 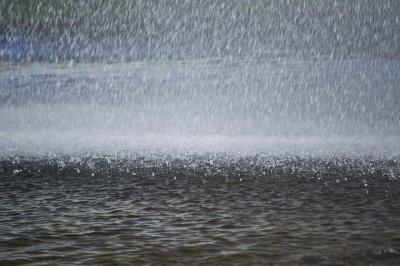 Torrential rainfall can cause water to pool around your home. That water naturally wants to flow downward, and into your basement, if given the chance. Gutter systems that are obstructed by leaf litter and debris can be responsible for flooding around your home’s foundation. To avoid this problem, make sure that your gutters and downspouts are clean, clear, and in good working order. Unprotected basements can be prone to floods. Rainwater can find its way inside if basement waterproofing is inadequate. For example, egress windows and basement doors that are not properly sealed can allow water to infiltrate. If the earth below and around your home becomes saturated, the excess moisture can overwhelm a poorly waterproofed space, causing water to seep through your home’s concrete foundation and pool inside your basement. If you have ever experienced a flood in your home, then you know the kinds of problems that can pop up as a result of one. Water damage can ruin many of your personal possessions and, if you fail to have the flood water removed immediately, you might even experience mold and mildew in your home. Fortunately, there are steps you can take to avoid a home flood, including basement waterproofing . Check out some tips for reducing the risk of water damage in the Hamptons below. 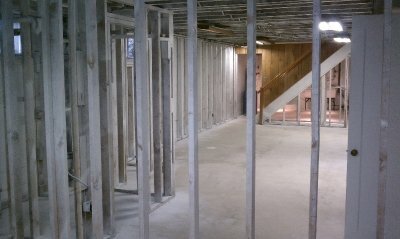 Basement waterproofing is something that all homeowners with a basement should consider. You might not recognize it, but there are all sorts of ways that water can sneak into your home through your basement and cause mold in the basement, which is obviously a huge problem for people. A basement waterproofing company can seal cracks in your foundation walls as well as cracks in your basement floor and reduce the chance of water making it into your basement. Make sure your home’s gutters and downspouts are functioning properly. The gutters and downspouts that are located on the exterior of your home are designed to take rainwater and direct it away from your home. This will help you avoid problems with your foundation and prevent water from building up around the base of your home where it’s more likely to make its way inside. However, if your gutters and downspouts are disconnected in spots or if they don’t direct water far enough away from your home, you could run into trouble in the future. Check to make sure they are all functioning during your next rainstorm. Hire a plumber to inspect your home’s plumbing. Is your plumbing system old, or do you have specific pipes that are on the verge of bursting at any time? Plumbing problems are one of the leading sources of home floods. By repairing or replacing your plumbing, you can stop a home flood from taking place and rest easier at night knowing you probably won’t need mold removal anytime soon. Most people are aware of the fact that mold can cause serious health issues, but did you know that it can cause property damage as well as damage to the structure of your home? 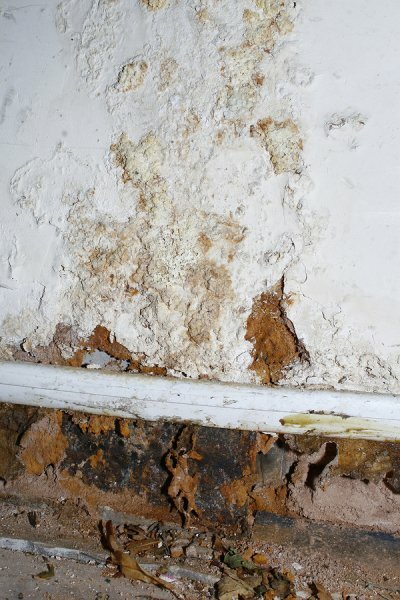 It’s why you should have mold remediation done if testing reveals you have mold in your home. Island Catastrophe Environmental Restoration can provide you with a mold inspection near Long Island and get rid of mold for you. Mold is known to damage just about everything that it comes into contact with. If you allow it to grow on furniture, clothing, or other items, it will slowly cause them to disappear. It will do the same thing to wood, tiles, insulation, and other important parts of your home’s structure. When this happens, your home’s structure can become compromised. By having mold remediation done, you will reduce the impact mold is able to have in your home. Island Catastrophe Environmental Restoration will do air quality testing in your home to detect mold and then eliminate it if it is found. Floods can create significant and costly damage to any home. During the winter season, heavy rainfall can quickly create a flooding emergency in your area. In the aftermath of a flood , it is important to schedule services with a qualified company offering mold remediation near Long Island. With quality black mold removal and other recovery services, you can help restore your home to safe and habitable condition after a flood. Along with mold removal, there are several different steps to the mold recovery process. To help you prepare for the unexpected, here is a guide to the steps of flood recovery. After your home experiences significant flooding, it is very important to take the time to assess the extent of the damage. For example, you may want to inspect your home for signs of damage to the foundation, roofing, and utilities. 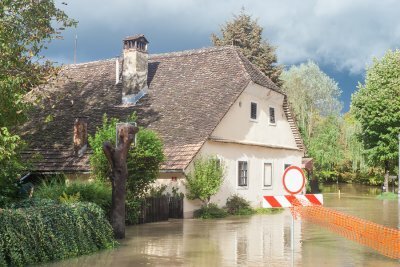 To ensure that your home is properly evaluated for the signs of flood damage, you may want to trust this procedure to your disaster restoration experts. 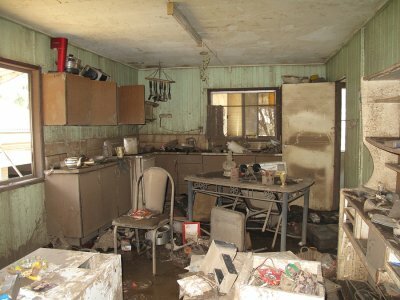 During the flood damage assessment process, it is a great idea to take plenty of pictures of all of the damaged areas of your home. These pictures will be used by your insurance company as a part of the insurance claim documentation process. When you are documenting the flood damage to your home, it is important to take photos or videos, before any repairs are made. Taking pictures right away will help you make sure that you get the full benefit of your coverage. With the damage documentation complete, you will be ready to contact your insurance company. In order to get started on the claims process, you will want to notify your insurer about your flood damage as soon as possible after the incident. After reviewing your claim and documentation, your insurance company will provide you with financial assistance towards your recovery procedures. In order to receive coverage, you will need to make sure that flood insurance is included in your homeowner’s insurance plan. Flood damage is a devastating possibility for homeowners who live along the coastal waterways of Long Island. Rising tides and flash floods can wreak havoc on your home and the belongings inside, and the resulting water damage can create an unsafe environment for yourself and your family. To keep your family safe and minimize the overall damage, it’s important that you call a flood remediation company serving the Hamptons as soon as possible to begin the long, hard process of water damage cleanup. If you are in need of flood remediation, call for help now and then come back to this article to learn more about the remediation process while you wait for help to arrive. Damage Assessment The first step in the flood remediation process is to carefully inspect the water damage your home has suffered. 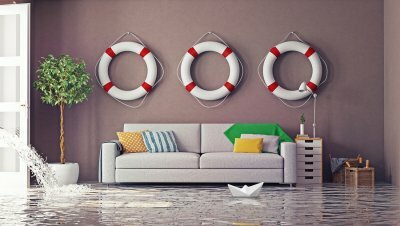 Not only is this step crucial in developing an effective action plan that will result in a successful restoration of your home to its pre-flood condition, but this damage assessment will also be used by your insurance company to value your payout (if you have appropriate flood insurance coverage). Next, powerful vacuums and water extraction devices are used to remove water from home. The sooner you call a flood remediation company, the sooner the standing water can be extracted to minimize water damage and help prevent mold growth. If mold growth is found during the assessment or extraction steps, your water damage repair technician will discuss your mold remediation options. After the bulk of the water has been removed from your home, flood remediation technicians will use specialized equipment to get rid of water that’s harder (or impossible) to reach with pumps and vacuums. This equipment, along with specialized techniques, will dry out and dehumidify your home to prevent mold growth and sanitize surfaces to remove odors and reduce risk of secondary infections.